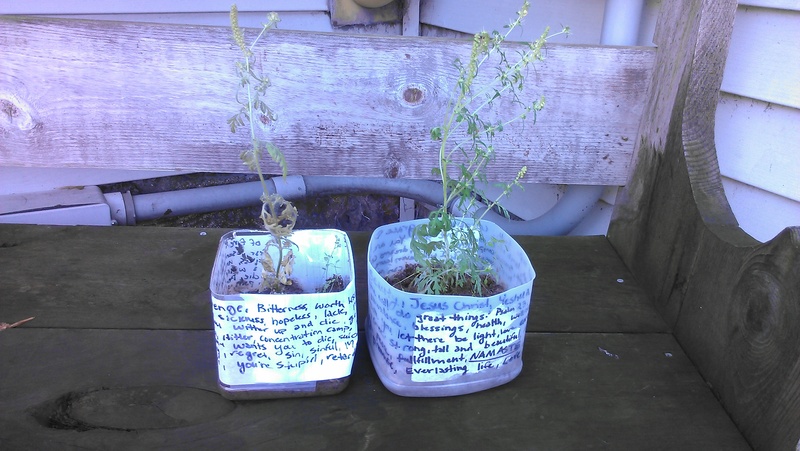 These experiments continue to fascinate me, so I decided to replicate them in my own way – with plants. 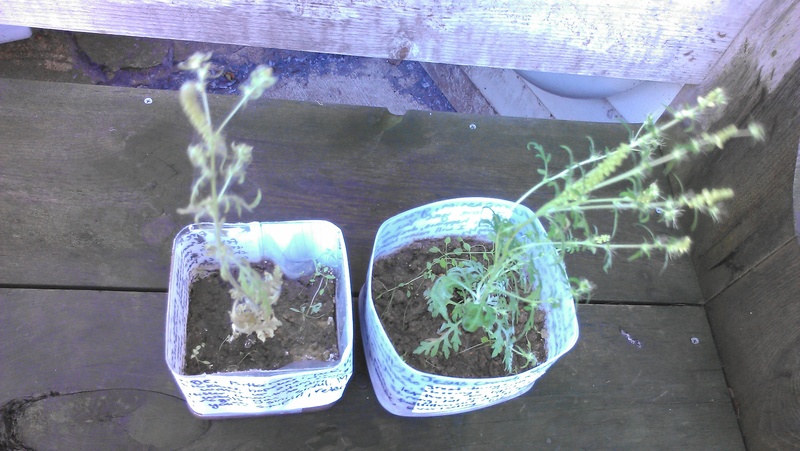 I went out into the yard and found two weeds that were the same size. (I have a witness to the fact that they were identical in size and appearance, but sadly I do not have a ‘before’ picture. Next time though!) 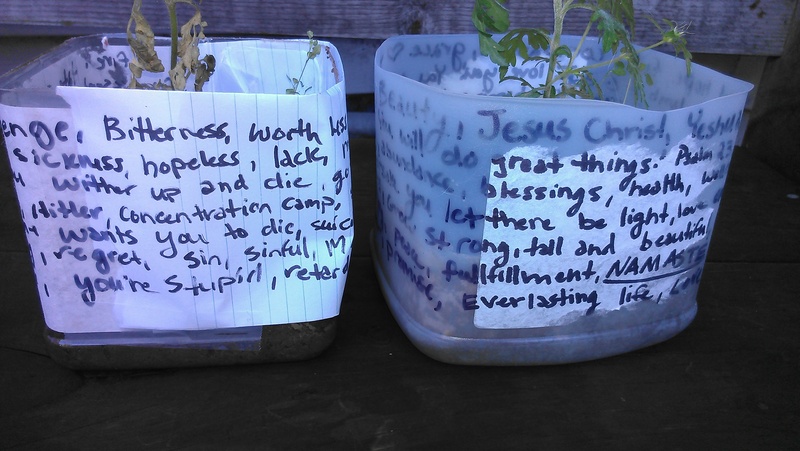 Then I found two similar containers and proceeded to plant the weeds in them and cover the outside of both of them with everything I could think of – one, with everything negative, the other with everything positive. This included phrases, words, names, etc. The one on the left is the “negative” plant, and the one on the right is the “positive”. As you can see, the plant exposed to all the negative words seems shriveled and sickly looking. In fact, I don’t think it grew at all. While the positive plant definitely grew and seemed vibrant and healthy – even leaning its branches away from the negative plant. 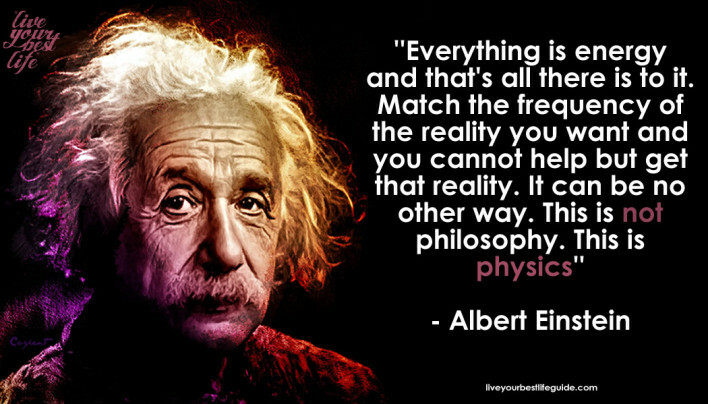 Thoughts, words, sounds, colors, all of these things are a unique form of energy, vibration, and frequency. Expose yourself, water, or a plant to an energy that is “negative”, you will see negative result. Like attracts like. The same can be said for the positive, and that is how experiments like this work. That morning, after I woke up I went over to look at them and noticed that the negative plant was covered in little specks. 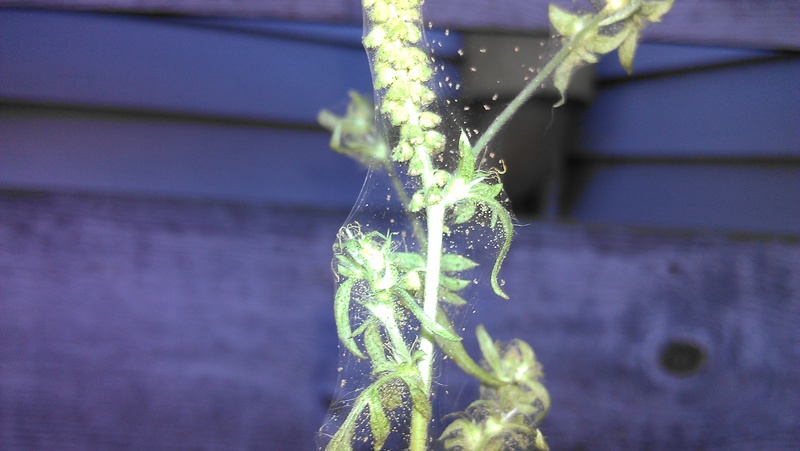 Upon closer examination, I realized that they were baby spiders, and immediately removed the plants from the house. Here they are, notice the webbing? At first I was confused. Why did the spiders appear on the negative plant but not the positive one? Shouldn’t it be the other way around, and the other creatures moving into the plant be a sign of vitality and thriving life? Then I remembered how I feel about spiders. I can’t even tolerate them. To me they are interesting enough, but they give me the creeps. To put it bluntly, I would rather deal with any rodent, reptile, bug, whatever, over spiders. 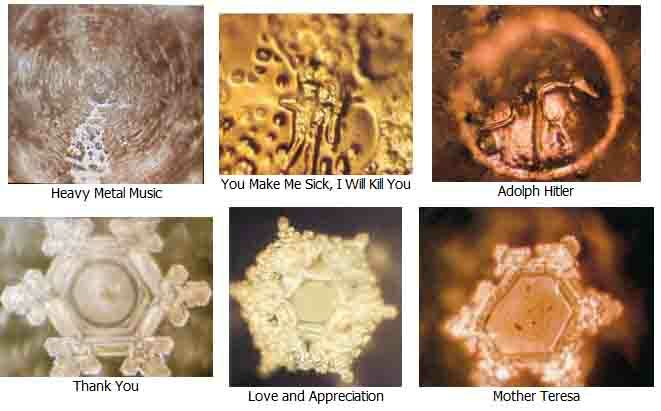 And then I realized I know a lot of other people who felt that way about spiders, and I remembered Masaru Emoto’s water crystals that were exposed to the names “Adolf Hitler” and “Mother Teresa”. Why would a name create such a drastic difference in responses? Because of the general opinion, the energy surrounding that name. If someone I didn’t even know came up to me on the street, looked me in the face and said, “Adolf Hitler”, my brain would immediately fill with images of concentration camps, swastikas, and mass graves. On the other hand if someone said “Mother Teresa”, my mind would fill with images of a compassionate woman with a child in her arms. Make sense now? It did to me. 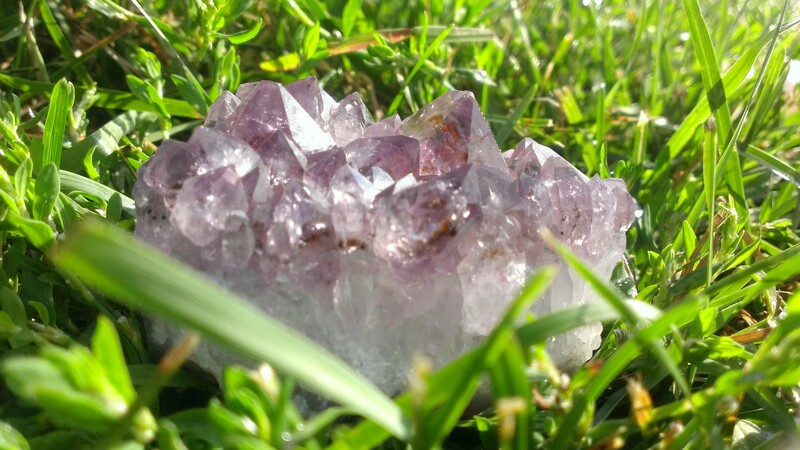 This entry was posted in Vibration and Frequency and tagged Masaru Emoto, plant experiment, plants, power of positivity, power of words, words. Bookmark the permalink. hi, thank you for doing the experiment, i want to do something similar to show my students what effect their speech has. I am just wondering will other plants other than weeds work? I tried it this summer with two ferns… I named them Adam and Cathy, pulling names from East of Eden. Adam got the good water and Cathy got the bad water. By the end of summer, Cathy was browned and Adam was green and vibrant. Here’s the hard part: When I saw that Cathy was browning, I began to use good water on Cathy so that I could try to reverse what had happened.. I felt bad for what I had done. But regardless of how much good water I used and how much I spoke sweetly to this plant, I couldn’t bring it back. I’m still trying, but it looks so pitiful and brown 😦 Adam on the other hand is happy and green. Are your results repeatable and reprodduceable? Did you use a large enough control test and control group?